We Agree: Let's Ban the Term "RINO"
Yesterday, former Arkansas Governor Mike Huckabee sent out a letter to supporters asking them to help him strike the term "RINO" from our Party vernacular. Former Arkansas Gov. 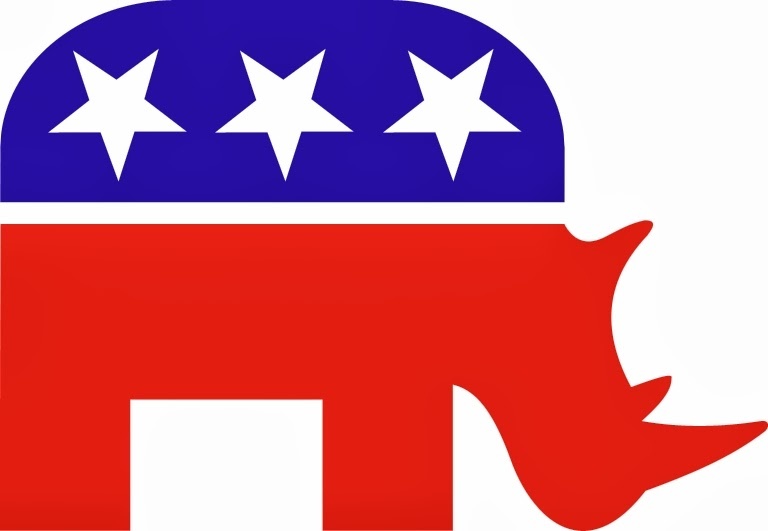 Mike Huckabee wants to ban the term "RINO" -- "Republican in Name Only" -- in the Republican Party. The former governor complained in a letter to supporters that during a recent social media outreach, he was disturbed that too many Republicans were attacking each other and calling them names. "Many of you used a term that I’d like to see outlawed from the vernacular of the party: RINO," he said, calling it a "pejorative term" that questioned one's purity. Huckabee pointed out that he got a tweet from someone who complained that he was a RINO, which upset him. "With all due respect, I’ve fought in the trenches of Republican politics for over two decades, but I wouldn’t pretend that I’m lord over determining who the real Republicans are versus the so-called RINOs," he said. Huckabee reminded his readers that Jesus once said that "a house divided against itself cannot stand," referring to the Gospel of Matthew. The possible 2016 Republican presidential hopeful concluded his essay with a folksy proverb. "I’d rather have a loyal dog who licks me than one with a pedigree who bites me," he added. "I’d rather go to battle with someone who isn’t perfect than with someone who thinks he is."